Parasaurolophus was a large plant-eating dinosaur that lived in North America during the late Cretaceous period, about 76 to 74 Million years ago. Parasaurolophus was 33 feet (10 meters) long, 16 feet (4.9 meters) tall, and weighed about 3 to 4 tons. The crest on its head was up to 6 feet (1.8 meters) long and hollow, and it is for this feature that the creature was named: its name means "near crested lizard" and was chosen in reference to Saurolophus. Skulls with shorter crests have been found. At first, it was believed that these were from a different species, but now scientists believe that females had shorter crests than the males. Scientists generally believe that the crests were used to help visually recognize other members of the same species, as well as for making sounds. An unique feature of Parasaurolophus, is a notch that appears in its backbone. One possibility is that the crest may have fitted into this notch when the animal was running through dense forest, using the crest could as deflector to push away low hanging branches. North American Dinosaurs - Parasaurolophus lived in North America. Parasaurolophus was a genus of dinosaur. "Parasaurolophus" means "near crested lizard". Parasaurolophus was a member of the Ornithischia ("bird-hipped") order of dinosaurs. What this means, is that although Parasaurolophus was not closely related to birds, it did have similarly shaped pelvic bones. 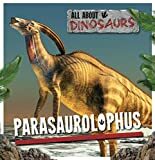 Parasaurolophus was a Hadrosaur (usually known as "duck-billed dinosaur") - a member of a group of related herbivorous (plant-eating) dinosaurs that were very successful in the Cretaceous period. Parasaurolophus lived between about 76 million years ago and 74 million years ago, during the late Cretaceous period. Parasaurolophus lived in North America. Parasaurolophus was a herbivore (plant-eater). Parasaurolophus was about 33 feet (10 meters) long, and 16 feet (4.9 meters) tall. Parasaurolophus weighed about 3 or 4 tons. Realistic illustrations highlight this story about a day in the life of the Parasaurolophus. Created in collaboration with the Smithsonian Institution, information sections give all the vital statistics about Parasaurolophus. What if you woke up one morning and you had sprouted a dinosaur body part overnight? What If You Had T. rex Teeth? -- the next imaginative book in the What If You Had series -- explores what would happen if you looked in the mirror and saw that you had become part dino! From a Velociraptor's sharp sickle-tipped toes to a T. rex's giant curved teeth, and from the body armor of an Ankylosaurus to the long neck of a Brachiosaurus -- discover what it would be like if you had one of these wild dinosaur parts! Readers will also learn what makes a dinosaur a dinosaur and why they aren't still around today. Describes the physical characteristics and probable behavior of this duck-billed dinosaur. Parasaurolophus is known for the trumpet-shaped crest on its head, which makes a low sound similar to the one elephants or whales make when communicating among their species. Readers learn this and other interesting facts about this dinosaur, such as what it ate, the places it called home, and how it survived among predators. This compelling material is presented through an age-appropriate text to enhance students knowledge of these prehistoric creatures. Readers uncover additional information in captivating fact boxes, colorful illustrations, and well-organized diagrams. This text keeps readers entertained while also aligning with a fundamental science curriculum topic. One misty day, as a Parasaurolophus searches for food, he is separated from his group. The longer he is alone, the more risk there is of encouraging danger. As he looks for his group, a fierce Albertosaurus lunges for him! Kids are bound to love this book with its detailed illustrations and storyline that has been reviewed by paleontologists at the Smithsonian Institution for accuracy. Included is an Audiobook CD and a tear-out poster for extended learning fun. Dinosaur Coloring Book, Great Gift For Dinosaur Lovers! This Dinosaurs Coloring Book for men, women and youths is great for the Dinosaurs scenes lover or someone who just likes to relax coloring Dinosaur themes. Every Dinosaurs picture is printed on its own 8.5 x 11 inch page. Make one of the best decisions this year and get your copy of this fantastic Dinosaur Coloring Book while you can. Table of Contents Introduction Chapter 1: Appearance and Behavior Chapter 2: Environment Conclusion Author Bio Bonus Dinosaur Content Introduction to Dinosaurs Facts about Dinosaurs Dinosaur Extinction Dinosaur Fossils Dinosaur Eggs Dinosaur Names Dinosaur Diet Feathered Dinosaurs Plant Eating Dinosaurs The Weirdest Dinosaurs The Deadliest Dinosaurs Flying Dinosaurs Kinds of Dinosaurs The Biggest Dinosaurs The Smallest Dinosaurs Author Bio Publisher Introduction Salutations young reader! Today we are going to embark on a journey back to the age of the dinosaurs. The dinosaurs are some of the most incredible animals that ever lived on our planet. They lived nearly 200 million years ago and thrived for about 165 million years. We humans have only been around for about 60,000 years and we have only been using computers for about 75 years. The dinosaurs mysteriously became extinct and disappeared from our earth, but left their fossilized remains behind. Dinosaur fossils have been constantly discovered in human history; the Chinese thought they were dragon bones and Europeans thought they were the bones of biblical monsters. Luckily, the scientific study of dinosaurs began in between 1815-1824 with the discovery of an Iguanodon fossil. Since then dinosaurs have been discovered all over the world. 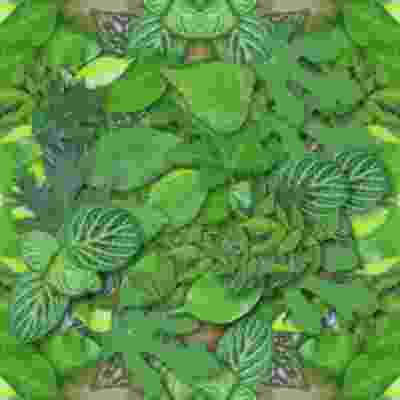 Their immense size, strange shapes, and wonderful natures make them inherently worthy of interest. The study of dinosaurs requires depth of imagination, analytical skills, and thought. The many unanswered questions about their lives, behavior, and disappearance provoke the curious to seek answers and ask even more questions. I hope this book fuels your imagination and makes you want to learn even more about dinosaurs. I hope you learn to appreciate the value of the dinosaurs and that you bring a spirit of openness and wonder on your journey. Today we will be learning about the Parasaurolophus. This dinosaur is a cool dinosaur to study because it was highly adaptable. This species of dinosaur survived for The Parasaurolophus also had an amazing crest on the top of its head. The purpose of this crest is currently being investigated by scientists- we are going to discuss this crest and much more including the appearance, behavior, and environment of this dinosaur. We know what we know about the dinosaurs from a variety of sources including fossils, biology, and other scientific disciplines. Fossils are the ancient remains of the dinosaurs, the most familiar being their bones. Biological science is the study of life in general, but many scientists compare the dinosaurs to modern day animals to support their theories. Before a talk about dinosaurs can take place it is important that we discuss the theory of evolution. Evolutionary theory supposes that all the animals we know and see today are the direct descendants of animals that existed millions of years ago. The dinosaurs and other creatures that existed millions of years ago either died out or gradually changed into different animals. For instance, birds are considered to be surviving dinosaurs because their dinosaur ancestors survived the dinosaur extinction event (we will discuss this later). There are no evolutionary descendants of the Parasaurolophus. Remember that any time you see an * next to the name of a dinosaur, it means that a book has been written about this dinosaur in the Dinosaur Books for Young Readers series. Any word written in bold is an important scientific term which is defined in-text. Italics are used to denote the first time a dinosaur’s name is mentioned in the book. 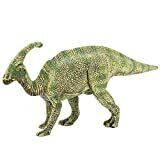 PART OF THE DINOSAUR COLLECTION - A dinosaur from the Upper Cretaceous period, the Parasaurolophus could measure up to 10 m and weigh more than 2 tonnes. This large herbivore with a flat snout is known for the long bony crest on its head. BEAUTIFULLY FINISHED AND DURABLE - This figure is beautifully finished and the extreme attention to detail is universally recognised. This figure is made of a very high quality plastic, its measures approximately 8 inches long and 5 inches tall; Suitable for ages: 3+ Years. The Papo toy line features beatifully crafted figurines and animals. Papo toys come in a wide variety of colors, all hand painted and bursting with imagination. We carry a wide selection for hours of play. Scale 1:20 True to life modeling. Meticulously hand painted figurines. 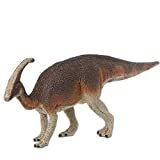 Body size: Product Size: L19.5 × W4 × H7.5cm Weight: 80g Target Gender: Boys It is a high quality figure of the famous "Parasaurolophus" also in the movie Jurassic Park [new appearance! Rich Dinosaur soft model becomes also new high quality! Kind at a low price]. 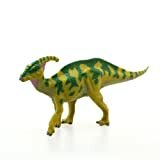 Dinosaur software model is a dinosaur figure series with durable soft material unbreakable material in. This item is perfect for customers who are thinking proud of high detail that is realistic, at a low price, the lineup because it is abundant, it is intended to collect dinosaur figure now. Introducing the CuddleZoo brand of irresistible plush dinosaurs. Each lovable replica in this line has realistic features, stands on its own and is made from super soft premium quality plush. Perfect for even the youngest dinosaur enthusiast! Children love to cuddle them, parents love their great value! 【Develops Dexterity and Sparks the Imagination】We encourage your kids to use their imagination to create their own magical kingdom. The toys will help to develop their skills while enjoying hours of imaginative play in great planet's history. 【Beautifully Finished and Durable】This figure is beautifully finished and the extreme attention to detail is universally recognized. This figure is made of a very high quality plastic, its measures approximately 6.5 inches tall; Suitable for ages: 3 plus Years. ★Parasaurolophus(meaning "near crested lizard") is the crest on its head.Some believed it was a snorkel for when the animal was in water, others felt that it was used in combat. We now know that it serves for display and for communication, allowing the animals to remain in contact over distance. ★Geminismart is an educational brand. the geminismart ideal is from the boss's twin sons. we hope to bring all good quality educational products to kids from all around the world. Please feel free to use our products. They are safe. They were strictly produced on the basis of safety standards. The diversity of our products and the interaction of different worlds also stimulate the creativity and imagination of children of all ages.